Home » Blog » gears » Gear Reviews » Indoor Rock Climbing Gear – What are the Bare Essentials To Start? Indoor Rock Climbing Gear – What are the Bare Essentials To Start? 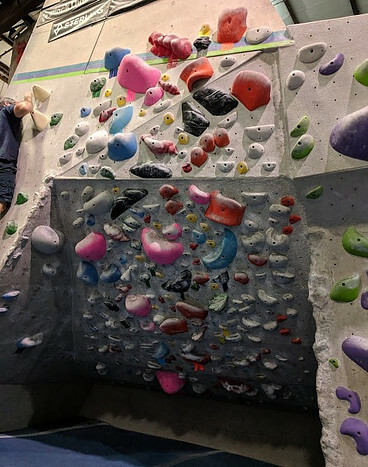 Rock climbing can start out cheap when you are climbing indoor. The most expensive thing is a rock gym membership. 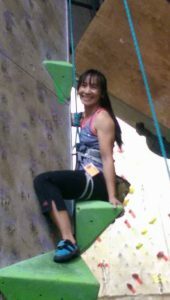 There are three types of indoor climb: bouldering, top rope, and lead climb. Please check out my article on “What is Rock Climbing” if you are not familiar with the three types. At first, you can rent all the gear from the gym such as Aiguille. Once you climb more often, you may want to invest in your own equipment. It is cheaper in the long run. Also, the rental gear is generic and used by many people so they are not as comfortable as your own. Bouldering is the cheapest way to go. All you would want is a pair of climbing shoes and some chalk with a chalk bag for your indoor rock climbing gear. However, sometimes you may want to mix in the experience of top rope for an endurance work out. There are a few more gear you will want to add to your collection. For Top Rope, in addition to shoes, chalk and chalk bag, you would want to look for a harness, belay device, and carabiners. This is bare bone climbing gear. 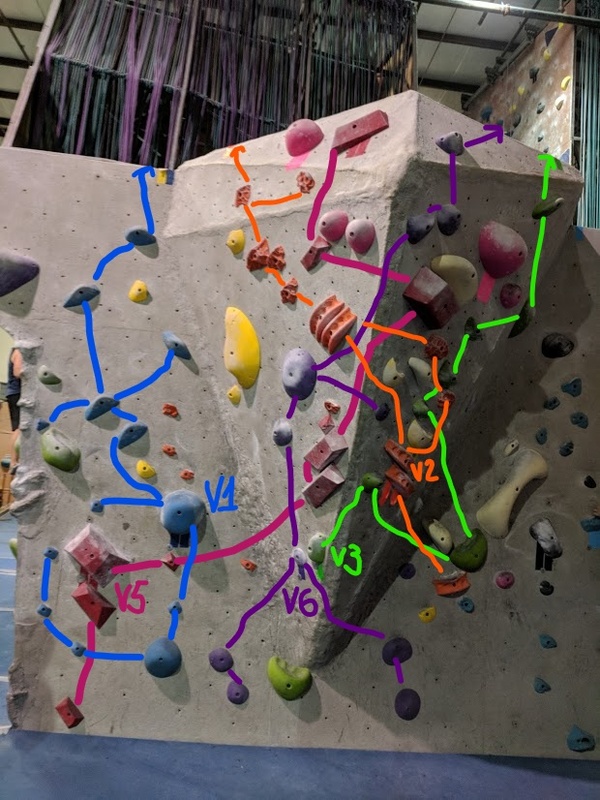 Eventually, you maybe introduced to lead climbing for more challenge and perhaps looking into outdoor climbing, then the next gear you will add would be the dynamic climbing rope. In this article, I shall display a selection of each product from Amazon for your convenient to compare pricing and to see what is available. I also wrote different article reviews as well as detail information for different products such as harnesses, shoes, chalk bags, belay device, and rope which may be interest to you on your research. 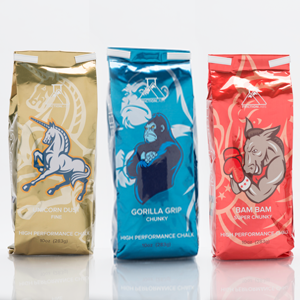 ==> CLICK REVIEWS for a list of all my product reviews. There are beginner shoes and intermediate to advance shoes. 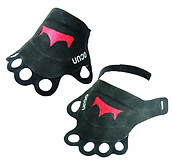 Click here ROCK CLIMBING SHOES for more details which includes what size should you look for. Below are different brands of shoes for you to choose from at Amazon. There are a variety of brands and different sizes harnesses. Need more information on harnesses? No problem. Click CLIMBING HARNESSES to get you more information. Below is a list of different harnesses provided by Amazon for your research. Chalk and chalk bags are sometimes considered optional since some people need them because they sweat a lot like my hubby. It helps prevent slipping off the rock. Luckily, I do not need as much. It is nice to have them around just in case when I need them. It does happen now and then when I encounter slopers on the routes. You will not need rope if you are only bouldering or top rope climb. Climbing rope is good for lead climbing in a rock gym or climbing outdoor. Click ROCK CLIMBING ROPE for details. Below are a variety of climbing ropes available on Amazon for sale. Rock climbing can be cheap in the beginning. However, as you explore the outdoor world of climbing you will need more climbing equipment so it can get expensive. One good thing about climbing is that you do not need to buy everything at once. Get the essentials and then build on over time. Like anything, look for quality products that will last because your life is more likely depending on them. I have not even started on the apparels and the accessories of rock climbing. I will save that for another article. Love to hear from you. Please leave your comments or questions below. Next post Climbing Helmet Reviews – Do We Need One for Climbing?